The mayor of a city in Spokane County, Wash., reportedly took to his private Facebook account to make racist comments about both the president and first lady, and now county officials and residents are calling for him to step down. 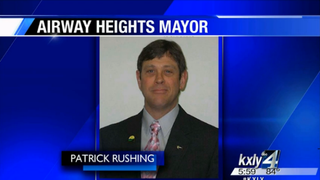 According to KXLY, Airway Heights Mayor Patrick Rushing allegedly posted a comment on his Facebook page stating, "Gorilla face Michelle, can't disagree with that. The woman is not attractive except to monkey man Barack. Check out them ears. LOL." The comment drew immediate calls for Rushing's resignation. "When a figurehead makes comments such as these, that sets us back, and it's hard to come back from," Police Chief and acting City Manager Lee Bennett said. Rushing has reportedly refused to step down, according to the news station, and won't comment on the message posted from his account. Bennett told the newspaper that because Rushing has refused to resign, the city is left with few options. Officials can ask that the mayor resign, but they cannot forcibly remove him from office. If Rushing continues to defiantly stay put, then the only option the City Council has left is to write a resolution "denouncing what was said, saying that Airway Heights City Council does not subscribe to this type of behavior, has more ethics and morals than that, and then to impose sanctions," Bennett told the newspaper. Bennett added that the city has worked hard to establish a trusting relationship with its residents and hopes that the mayor's remarks don't undo that work. "We've all, every employee and council member in the city of Airway Heights, has worked hard to prove that we are a city that should be reckoned with," he said.